Limo Service Pompano Beach is located in South Florida. Are you planning a wedding, bachelor party, or birthday celebration? Let our fleet of sensational limousines help you have the time of your life. We provide service to all of South Florida. We have beautiful vehicles, great rates, and professional staff. 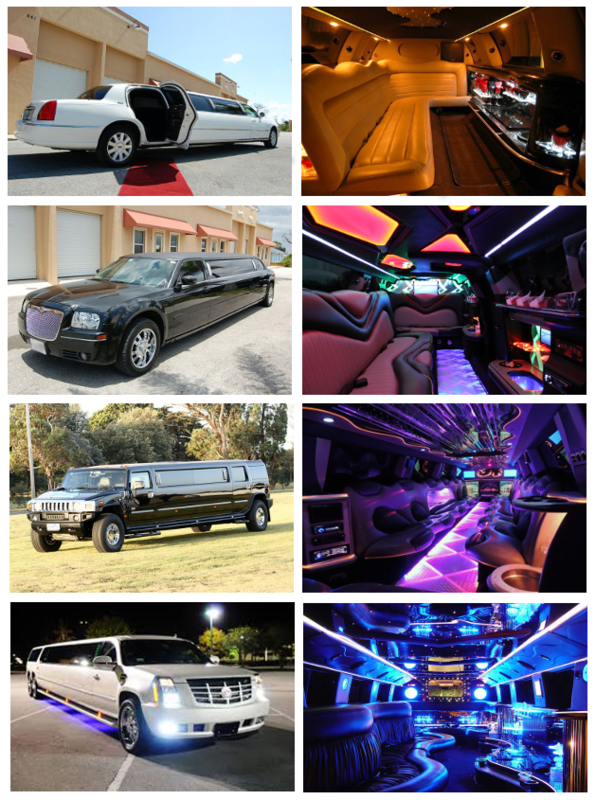 Get a free quote online and see why we are the premiere Pompano limousine service. Book a limousine now! Call, (954) 828-0219. Limo Service Pompano Beach is the sophisticated choice for transportation. We’re here to help you enjoy your romantic getaway, family reunion, corporate meeting, ladies shopping spree or any occasion you choose to celebrate. Our limousines are party bus rentals in Pompano Beach are top of the line and ready to service your group! We offer high-end rentals at affordable prices. Get quotes instantly with our easy to use online reservation system. Take 30 seconds and let us know where you want to go, when you need to arrive and how many peopel are traveling with your party. Look for our exclusive Limo rental Pompano Beach deals and choose the best one. We have a live representative waiting to answer all of your questions. We offer the best limo service in Florida. icture yourself arriving to your destination in a flirty Pink Chrysler 300 Limo, a sleek Cadillac Escalade, or a custom Blue Zebra Hummer Limo. We also have a fleet of Pompano Beach Charter Buses for school field trips and corporate transportation. urn some heads while riding in Limo Service Pompano Beach. Our plush interiors seat you in the lap of luxury with our fleet of affordable rides. You can expect the best when you book one of our vehicles! For the best price on a limousine, call (954) 828-0219. Pompano Beach is known for sophistication as well out enjoying the great outdoors. Let us maximize your fun while celebrating bachelor/bachelorette parties, wedding anniversaries, family vacations, business meetings and more. We want to be your official designated driver. Grab your beach gear and spend the best day ever at Pompano Beach at 222 N Pompano Beach Blvd. Make sure to check out the popular Pompano Beach Pier! Experience the highlight of shopping at the Pompano Beach Citi Center at 1954 N. Federal Hwy. Great stores, music and dining options! Take a break at the Wyndham Royal Vista on S Ocean Blvd, Pompano Beach. Drink, sleep, hit the beach and go! Voted #1 on Trip Advisor, eat dinner at the Mediterraneo Café and Grill on 420 N Federal Hwy, Pompano Beach. See why they have a certificate of excellence! Sit back, have a pint and enjoy live music at The Kingshead Pub Pompano Beach at 900 E Atlantic Blvd. Although the closest airport is Fort Lauderdale-Hollywood International Airport, we also service the Pompano Beach Airpark at 1001 NE 10th St, Pompano Beach, FL 33060. Our Limo Service Pompano Beach deals will kick start your vacation off right. From arrival to departure, we can accommodate your entire party’s travel needs. You can count on us to deliver in style and comfort. Look no further for the most affordable limousines in Florida! We’re here to make your occasion one to remember with our all encompassing transportation services. You should also check out limo service Hialeah and limo service Ft Lauderdale.